After the recent removal of the Chief Justice of Nigeria, Walter Onnoghen by the President of Nigeria, President Muhammadu Buhari, a whole lot of Nigerians have reacted and still reacting to it. 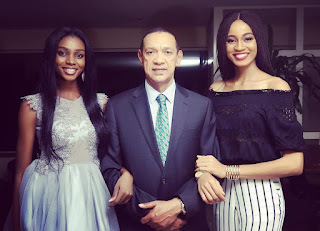 The Nigerian senator, Ben Murray Bruce is not left out as he drops this tweet of who the president may want to remove soon, comparing his leadership to that of the Past Head of State, General Sani Abacha. "We watched as Abacha killed and removing anyone who stood his way and we said we are not yoruba or from Abiola's family. Then One day he removed the sultan himself. If we don't stop @MBuhari today, we don't know who he will remove next. It could be Sultan, Ooni, Emir, Oba or Obi.